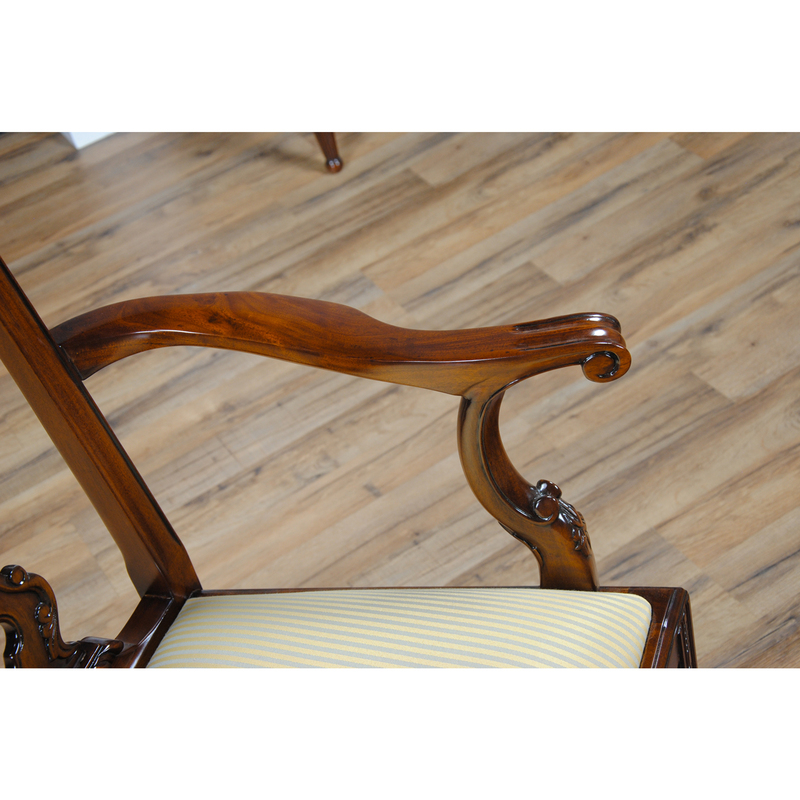 The Niagara Furniture version of an Essex Chippendale Arm Chair. 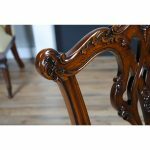 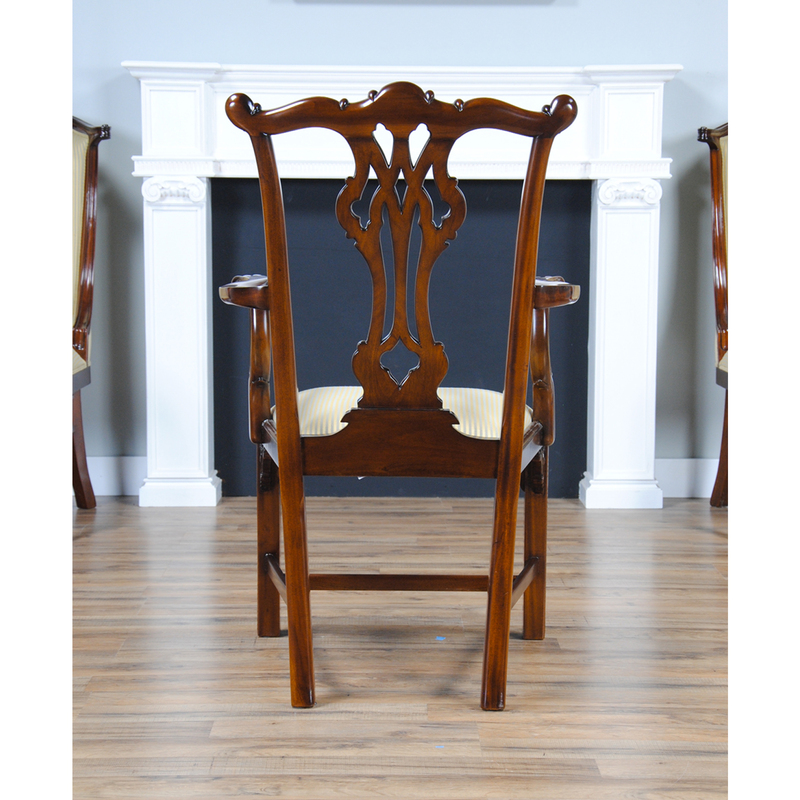 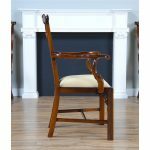 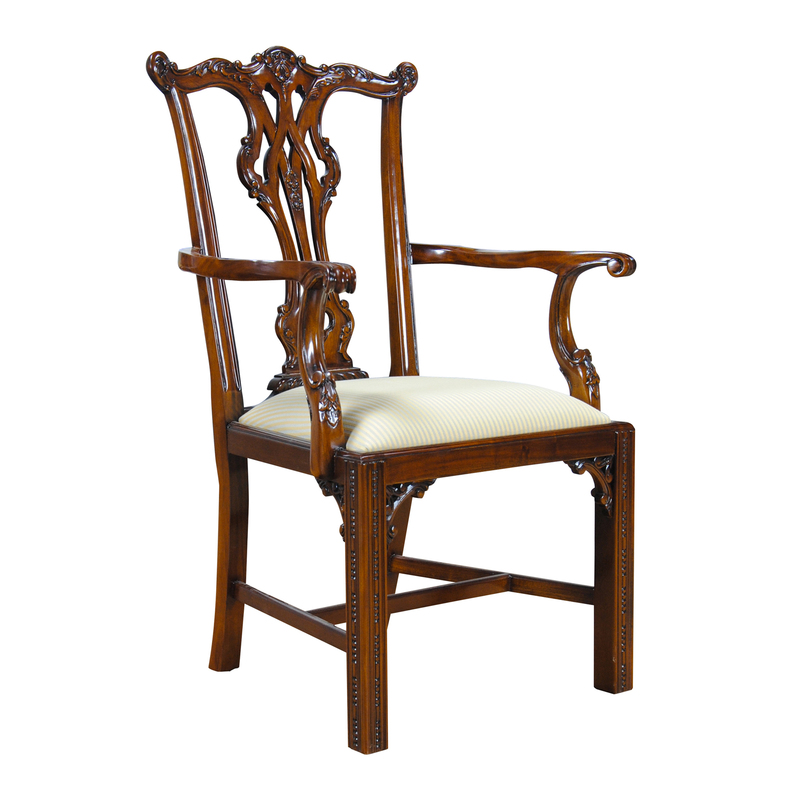 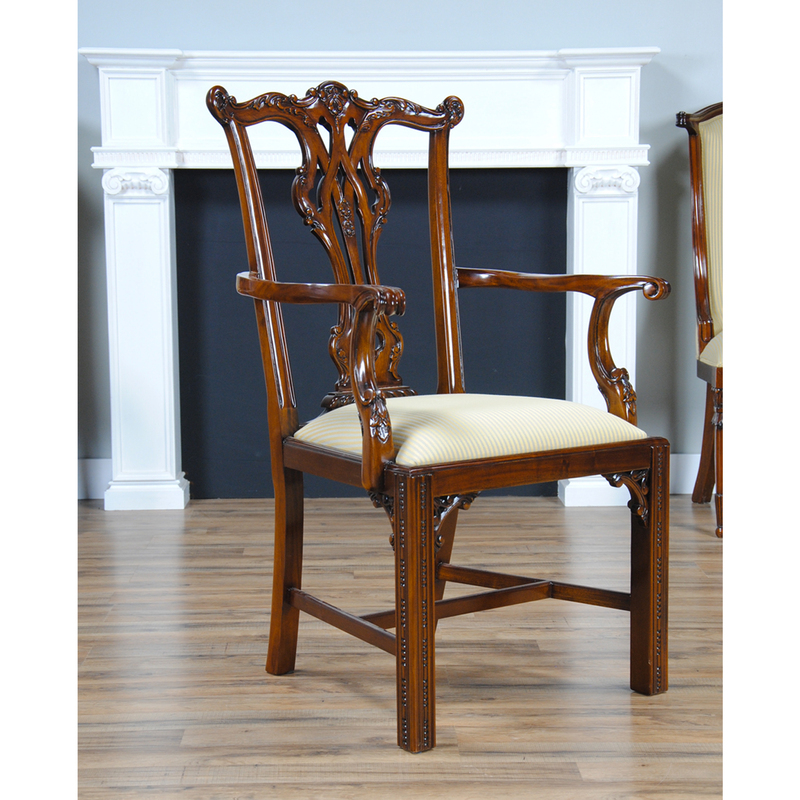 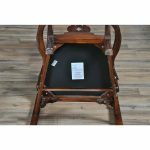 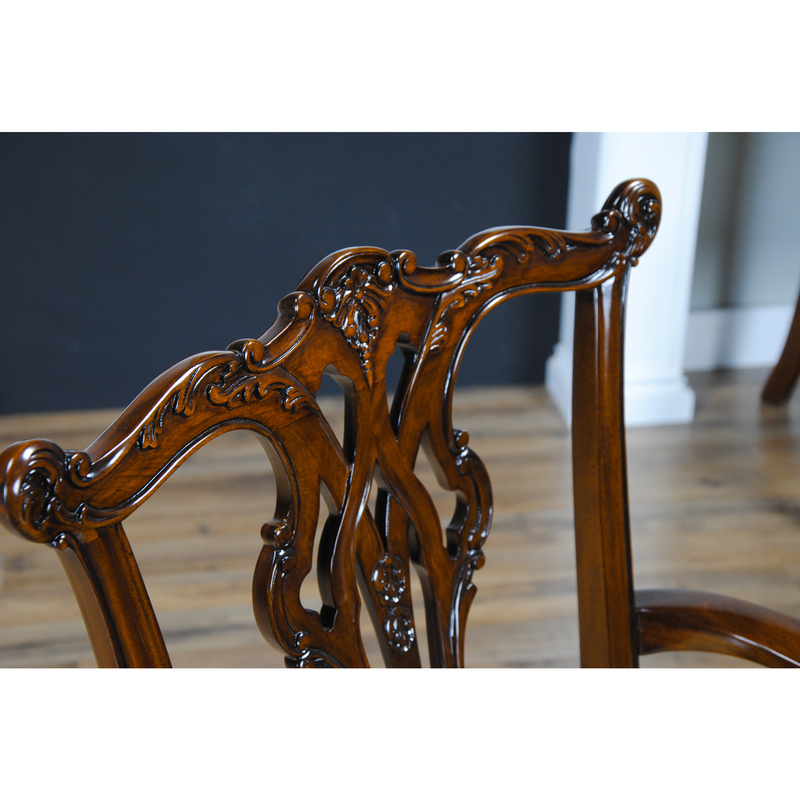 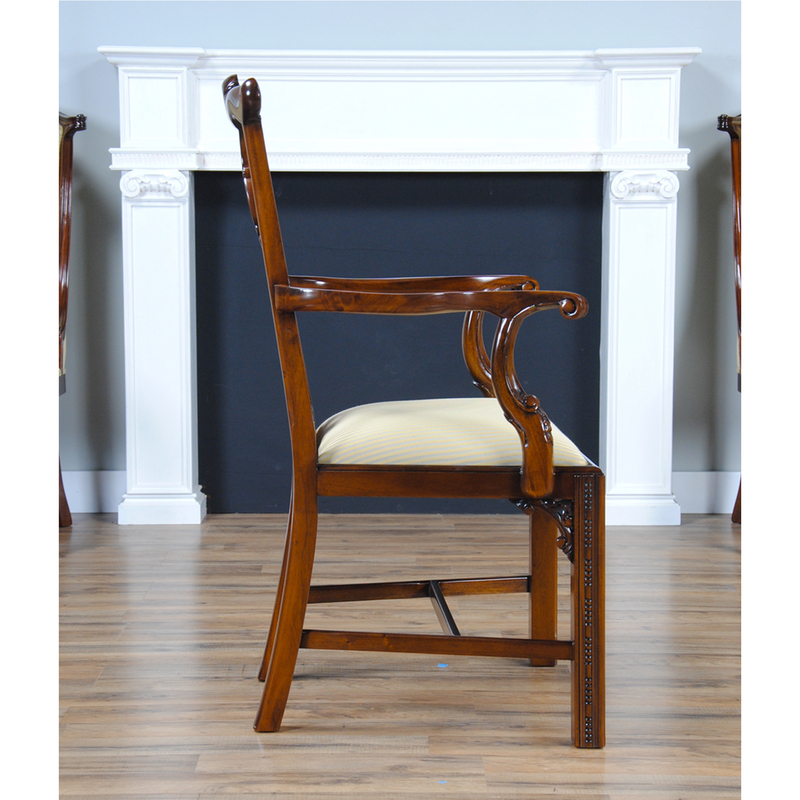 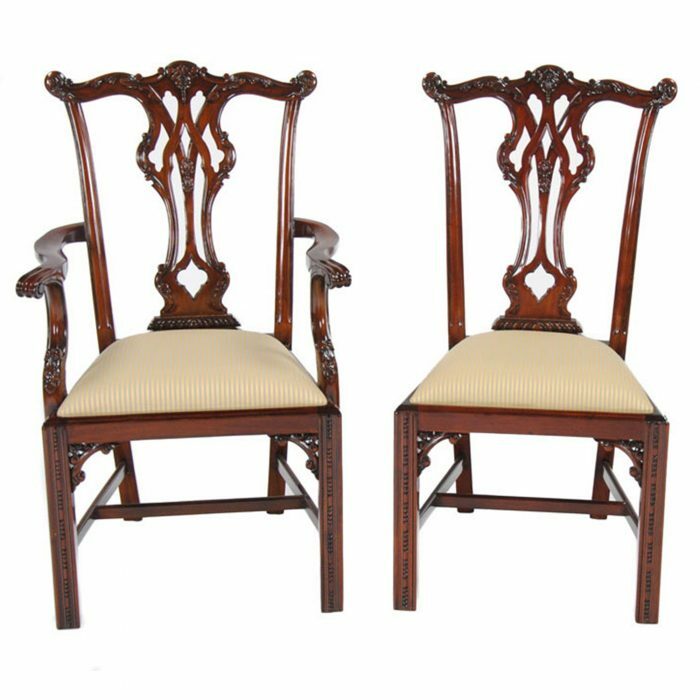 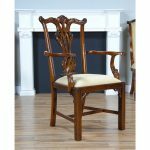 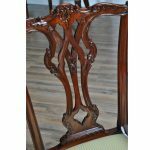 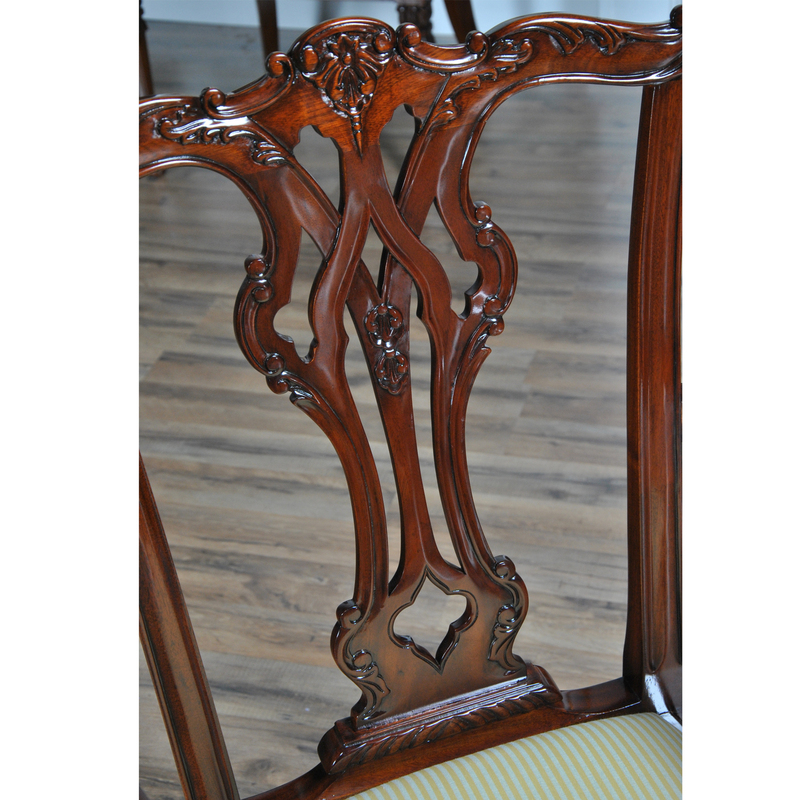 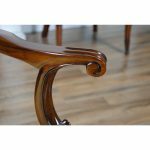 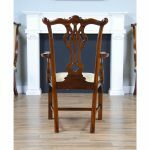 A luxurious Chippendale Style Dining Chair with a serpentine crest rail and a carved and pierced back splat all of which are hand carved from the finest quality, plantation grown solid mahogany. 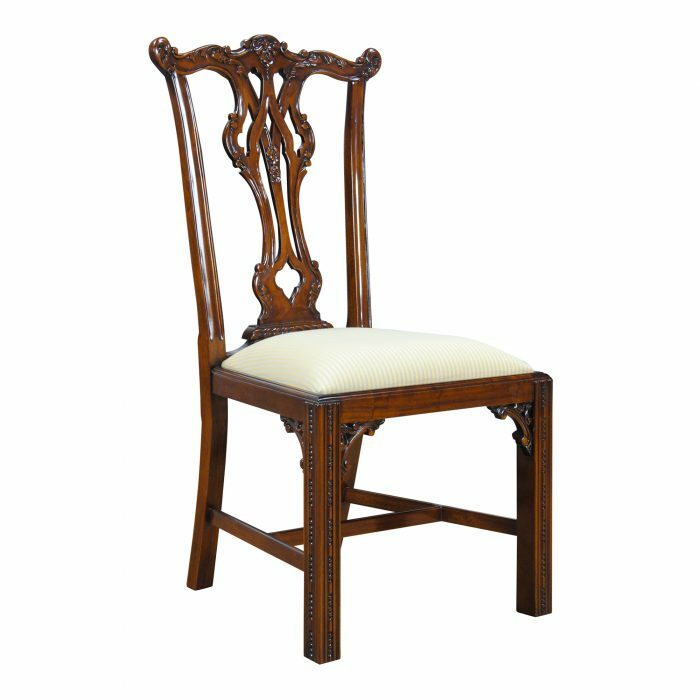 The seats are easily removable on our Essex Chippendale Arm Chair so the fabric can be changed and customized to meet your specific taste at any time. 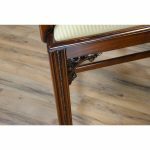 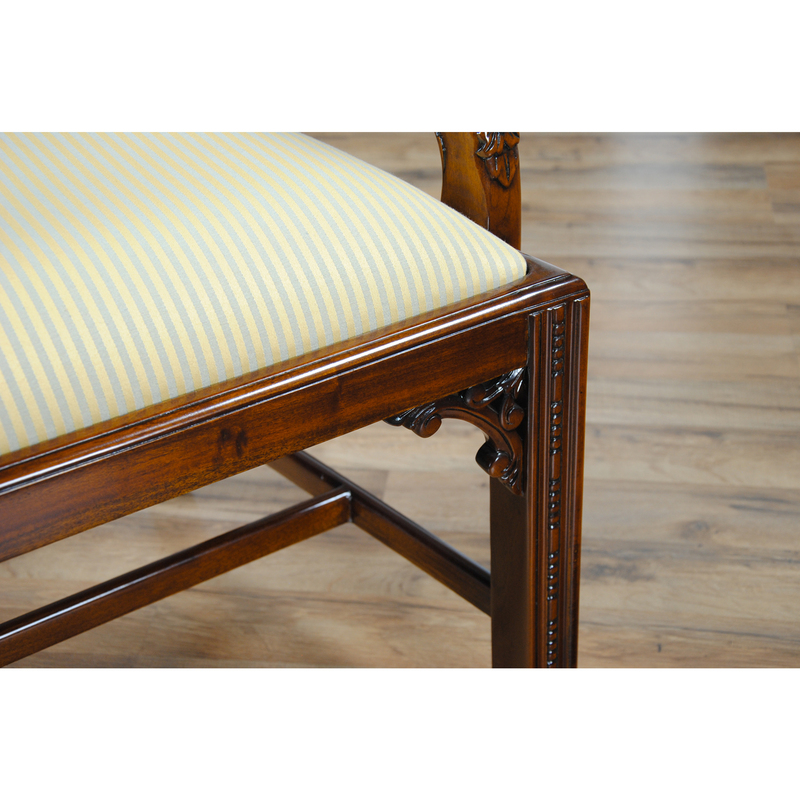 The chair rests on square, reeded front legs and tapered back legs suitable for most dining spaces. 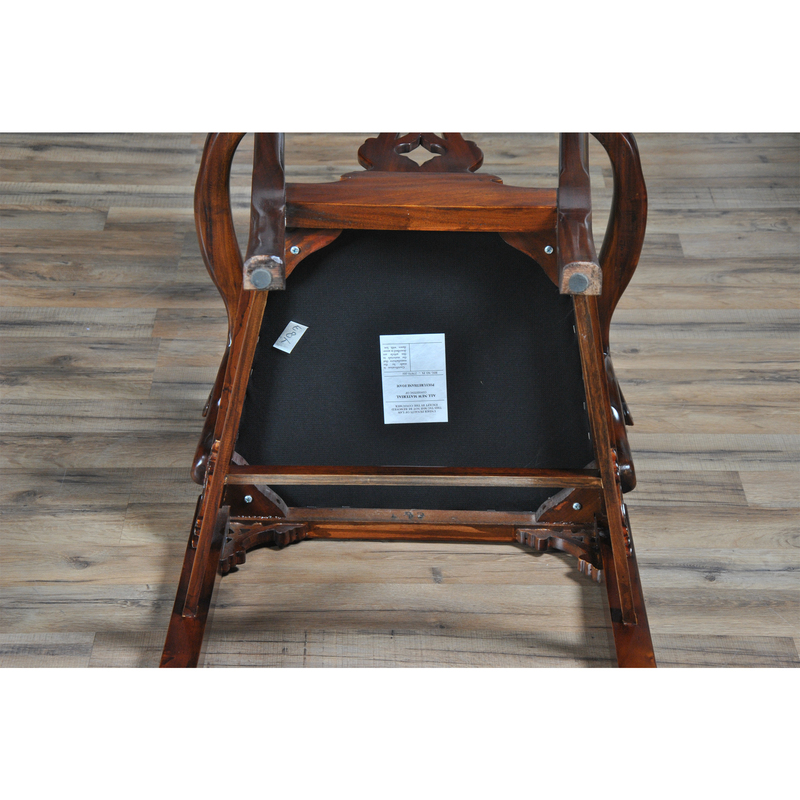 Cross stretchers lend extra support connecting the rear and front legs, scrolled hand holds complete the arms making the chair a pleasure to sit in.